Legal Malpractice, Personal Injury, and Business Litigation. Find more details on these and other legal areas on the practice areas overview. Paul Sortland has earned his reputation through continuous dedication to his clients and his legal practice, achieving multiple noteworthy case results and providing recognized leadership in the legal community. 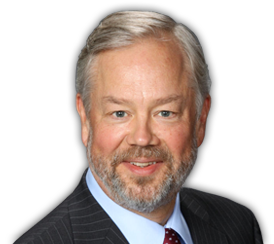 Martindale–Hubbell awarded Paul Sortland their highest AV rating, and he has been named a Super Lawyer. He was made a member of the Million Dollar Advocates Forum after achieving a trial verdict in excess of $2 million. Paul Sortland and his staff at Sortland Law Office, PLLC, are always ready to respond to your calls and questions. Paul Sortland is licensed to practice in the states of Minnesota and North Dakota. If you have suffered from legal malpractice, personal injury, any form of business disagreement or contract violation, contact Sortland Law Office, PLLC today to schedule a free initial consultation.